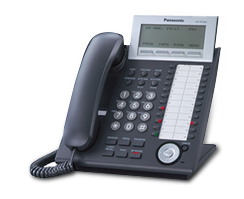 Octagon Communications is ideally placed to supply, install and maintain the complete range of Panasonic, NEC and SpliceCom business telephone systems. HVX HD telephony is a fully-hosted and managed telephony service, which enables businesses to work more efficiently and employees to be more productive. Businesses can benefit from high quality exclusivity of a Private Branch Exchange (PBX), without having to have new hardware installed on site. With fully-owned IP platforms that are hosted in secure and resilient data centres, the only hardware required on site is a managed router, Power Over Ethernet (POE) switch, managed HVX connectivity, a choice of HD quality handsets or soft clients and structured cabling, if required. HVX is a modular solution based on the number of users (seats) needed; allowing more seats to be added when required. Simply choose the number of concurrent calls and the functionality required for each user and HVX will deliver the appropriate level of managed connectivity. A dedicated web portal controls system features for individual users and/or group administrators, enabling control of everything from vital disaster recovery to ad hoc call routing plans, from any internet-enabled device. HVX is a cloud based service located on multiple resilient platforms at our own data centres. As calls are routed over our own managed core network we are not reliant upon on others for key components of your customer’s essential communication needs. Thousands of businesses users already trust in the delivery of this service. Businesses were driven to investing in a Private Branch Exchange (PBX) or Key System for two primary reasons. Firstly the inability of the public exchange to provide the features and functions required and secondly the desire to reduce costs by minimising the number of trunk connections. Now with the HVX both of these goals can be achieved without the need for onsite hardware and with web browser based self management users can remain in instant full control. Number Portability: Customers can usually keep their current phone numbers no matter what telephone exchange they are connected to. New numbers can also be supplied with any UK geographic code. Resilience: Calls can easily be re-routed to cover disaster scenarios via a dedicated group or individual web portal. Disaster recovery plans can be set up by customer for automatic divert. Scalability: Easy to deploy more handsets as the business grows. Administration & Monitoring: Web based phone management and system management tools, call usage information. Mobility With HVX Anywhere: Flexible mobile working allowing remote employees to have a single virtual number and work “on net”. Minimal on Site Resource Needed: No need to monitor systems / servers. Call & Line Costs: Free “on-net” calls between a company sites or users. Line rental costs can be reduced. Octagon communications scrutinised our line and call costs and provided us with a solution that saved us money and is continuing to save us money. The whole process was really easy and was managed by Octagon from start to finish. Each month we get tailored bills with an electronic breakdown in order that we can monitor and control our costs. Octagon offer a great service and I would highly recommend them.